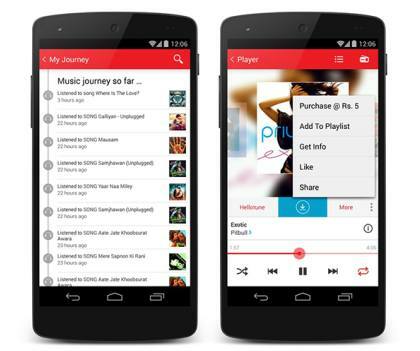 Airtel brings a cross-platform music streaming service – Wynk. The app features a library of over 1.7 million Indian and international songs, and is advertisement free. Bharti Airtel has forayed into the music streaming/download segment with a new cross-platform application called the Wynk. The application is already available on Android and iOS platforms. Airtel will be rolling out the service on desktop soon, though the operator has not given any timeline. Wynk is very similar to music streaming services such as Hungama, Gaana and Saavn. The application features over 1.7 million songs across 8 languages (Hindi, Punjabi, Bhojpuri, Tamil, Telugu, Kannada and Bengali), ad free music experience, stream, download, share, set hello tune of any song. Other highlights of the app is the human curated playlists, which Airtel touts as the mood-based playlists. Wynk Music app is available in three versions, basic Wynk, Wynk Plus and Wynk Freedom. First up is the free version of the application, which allows users to stream songs of their choice online and tune into internet radio. 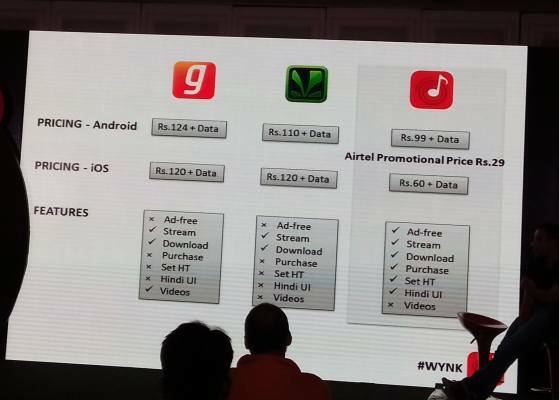 With Wynk Plus, users get unlimited in-app song downloads and play music offline at Rs. 99/- on Android and Rs. 60/- on iOS. Airtel customers using Android phones are offered a special introductory price of just Rs. 29/- on this. Wynk Freedom subscription at Rs. 129/- is available to Airtel customers in 3G circles using Android phones which allows them to get all-inclusive unlimited streaming and download of music without incurring additional data charges. 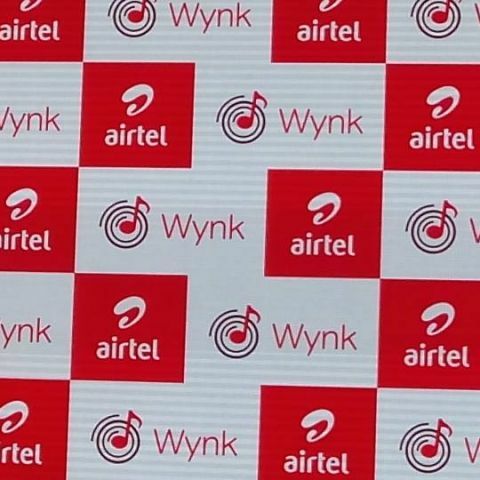 Wynk: Airtel's response to OTT threat? With VAS segment unlikely to hit the recovery road, operators are under immense pressure to compete with OTT players. Airtel seems to have already begun its preparations against these OTT players and in fact is targeting users across platforms. Airtel has had a successful run with its Re 1 video service and mobile TV. Can Airtel's Wynk beat Saavn and Gaana? Even though Airtel officials dodged the question on how soon the Wynk would surpass the likes of Hungama, Saavn and Gaana, many believe Airtel will be stepping up its offers to further heat up the competition with the other streaming services. Right now, Saavn and Gaana have already established names in the segment, but Airtel's Wynk will have an advantage of the operators' massive ready audience. Airtel has also not ruled out the possibilities of teaming up with smartphone companies to promote its new service. Another factor Airtel is likely to cash in on is the “free download” under which user doesn't have to pay for the data downloading a song. Saavn and Gaana offer song downloads, but not free data. Carrier-integrated billing also gives another advantage to Airtel. Optimisation for different networks, especially the slower 2G network is another important factor that could drive Airtel's Wynk growth in India. Airtel has already confirmed it is working to optimise the application on the 2G network. Wynk is available for download on Google Play store and Apple app store.